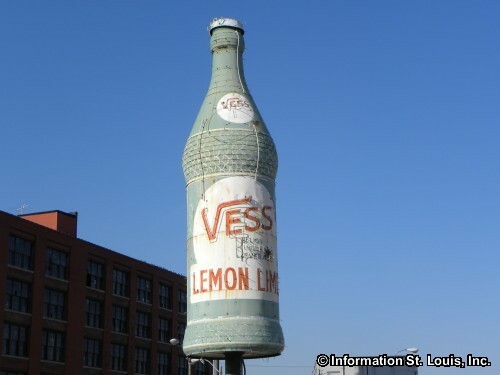 If you have seen the Vess Bottle as you exit on to Broadway from Interstate 70, you have been in Columbus Square! Historically, Columbus Square had been part of two other neighborhoods of St. Louis, the Central Business District and Old North St. Louis. Today, the Columbus Square Neighborhood is a separate neighborhood and is located just north of Downtown St. Louis. It is bordered by Interstate 70 on the east, Cass Avenue on the north, N. Tucker on the west and Cole Street on the south. The St. Louis Public School District serves the residents of the Columbus Square Neighborhood. The Patrick Henry Downtown Academy, one of the district's elementary schools, is located on 10th Street and was opened in 1906. 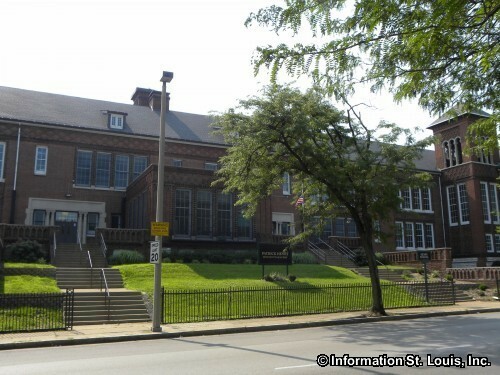 It is an excellent example of one of the 45 elementary schools that the famous St. Louis architect, William B. Ittner designed. Two St. Louis City parks are located in Columbus Square. Those parks are the Father Filipiac Park which features over 4 acres of parkland and tennis courts and Columbus Square Park which is just about half an acre of green space located in the Columbus Square Townhouses development. There were several times in early St. Louis history that large numbers of Irish immigrants came to the city. Between the years of 1842 and 1852 the "Potato Famine" was occurring in Ireland and many Irish came to America and then eventually to St. Louis. The Irish lived in tight knit communities, but because of severe poverty, these communities often had slum like conditions. One such Irish community was called "The Kerry Patch" because so many of the Irish who lived there had come from County Kerry Ireland and they referred to their homes as a "patch". The Kerry Patch was located in Old North St. Louis, part of which is now in the Columbus Square Neighborhood today. The Kerry Patch was a dangerous place. The Irish were used to fighting to stay alive in the "old country" and that spirit didn't change when they got to St. Louis. Many young Irish men and boys joined "gangs" that defended each other and their "territory". These immigrants were very poor and uneducated and lacked any skills other than farming. But, they were hard workers and, in St. Louis, did the jobs that others didn't want. Those jobs were dangerous and included coal mining, clay mining, railroad and canal building. Eventually the Irish moved to "Dogtown" following those jobs and were replaced by waves of other immigrants from Russia and the Balkans and eventually freed slaves. The Shrine of St. Joseph, a Catholic parish and church, is located in Columbus Square. The parish was founded in 1843 for the then large population of German Catholics living in the neighborhood. The church was built in 1844, on land donated by Ann Biddle, a wealthy widow and daughter of St. Louis' first millionaire, an Irishman, John Mullanphy. 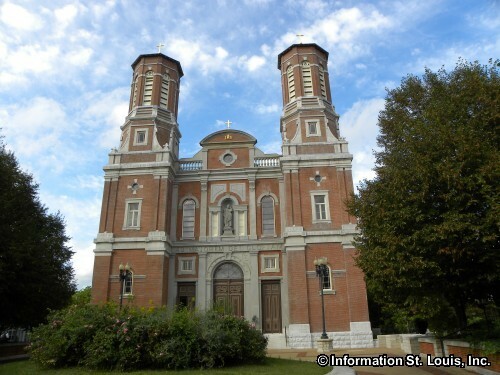 St. Joseph is the location of the only Catholic Vatican authenticated miracle that has occurred in the Midwest. The Cass Bank and Trust building is located at 13th and Cass Avenue and is a historic building having been built in 1927. It was the second building for the bank that was founded in 1906 by a group of St. Louis businessmen. Cass Bank and Trust was at the Columbus Square location until 1974. The building has been nominated for the National Register of Historic Places.